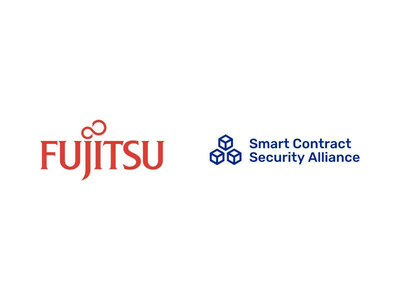 SAN FRANCISCO, March 20, 2019 /PRNewswire/ -- The Smart Contract Security Alliance, a collaboration of industry leaders that recommend security standards and guidelines for the blockchain industry, adds Fujitsu R&D Center Co., Ltd. to its membership. Fujitsu R&D Center, a China-based Fujitsu group company, is the first research and development institution with independent legal status in China. Established in 1935, Fujitsu Limited is Japan's top IT services provider, and is also a leader in the development of Hyperledger. "Fujitsu is a longstanding and successful IT company that has made key contributions to Hyperledger," says Richard Ma, CEO of Quantstamp and Cofounder of the Smart Contract Security Alliance. "We are thrilled to include their involvement and interest in Hyperledger to the collective expertise of the alliance." While enterprise companies are generally interested in blockchain applications, the lack of security standards has led many potential adopters to wait on the sidelines. Blockchain applications, such as smart contracts, offer great potential for companies across numerous sectors because they can create efficiencies and solve problems that other technologies are unable to solve. It is crucial to tackle the security challenges standing in the way of blockchain's broader adoption through initiatives such as the Smart Contract Security Alliance. The Smart Contract Security Alliance, founded by Quantstamp, works with industry leaders to develop accepted standards for creating and evaluating the security of smart contracts and blockchain applications. Through the development of these standards, the Smart Contract Security Alliance aims to bring professionalism to the blockchain industry and facilitate mainstream adoption. "Organizations like the Smart Contract Security Alliance are essential for bringing professionalism and security into the emerging blockchain industry," says Kentarou Fuji, VP of Global Marketing Unit in Fujitsu Limited. "We look forward to working with our peers in the alliance to help this industry reach its massive potential." The membership of the Smart Contract Security Alliance includes Quantstamp, Layer X, NRI Secure, Blockgeeks, Modular Inc., and the National University of Singapore Crystal Centre School of Computing. The alliance will soon provide more guidance to the blockchain community and share learnings related to smart contract security. Fujitsu Limited is a premier member of Hyperledger. In July 2017, the company increased the speed of Hyperledger transactions by 270% by improving the communication between blockchain applications and the underlying blockchain. Fujitsu also developed a "blockchain productization framework" that enables businesses to develop minimum viable products (MVPs) in 5 days. This past June, the company launched a "blockchain asset service" product that enables businesses to better market products to potential customers. In March 2018, Fujitsu developed software that detects potential vulnerabilities in Ethereum smart contracts. Security companies interested in advancing blockchain technology standards are encouraged to join the Smart Contract Security Alliance and have a voice in the future of blockchain security.